The brainchild behind the innovative new energy snack yomi bites, Emily talks with Greg about how she started experimenting with the creation of these bites in her college dorm room, the developments of her business within the last year, her partnership with her cousin and cofounder Brooke, how her collegiate basketball experience has impacted her entrepreneurial endeavors, her thoughts on Philly, and much more. 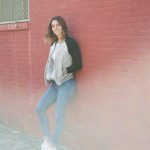 Emily Fazzini (Co-Founder of yomi bites) was last updated by Greg Holdsman on February 13, 2019 . Bookmark the permalink. Founder and CEO of the social impact organization Fulphil, Tiffany Yau talks with Greg about her Asian-American background, her decision to change her focus from medicine to social entrepreneurship, the mission of her young organization, her view on how Millennials and Gen Z’s are different from previous generations, her thoughts on Philly, and much more. 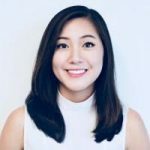 Tiffany Yau (Founder & CEO of Fulphil) – “Plug It” Edition was last updated by Greg Holdsman on January 2, 2019 . Bookmark the permalink. Mount Airy native and Middle Reliever for the Atlanta Braves, Jesse Biddle talks with Greg about his remarkable first year in the Big Leagues, overcoming adversity and terrible luck, moments of self-doubt, pivotal moments in his life, his thoughts on Philly, and much more. 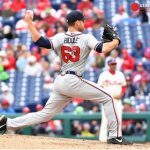 Jesse Biddle (Pitcher for the Atlanta Braves) was last updated by Greg Holdsman on December 21, 2018 . Bookmark the permalink. Ryan Abe, known on the internet as RyansAverageLife, talks with Greg about the birth of his channel and his rise to 600,000 subscribers, how he makes money, the evolution of YouTube and social media, the impact of his mother’s death, his thoughts on Philly, and much more. 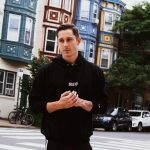 Ryan Abe (Comedian/YouTube Star) was last updated by Greg Holdsman on December 19, 2018 . Bookmark the permalink.